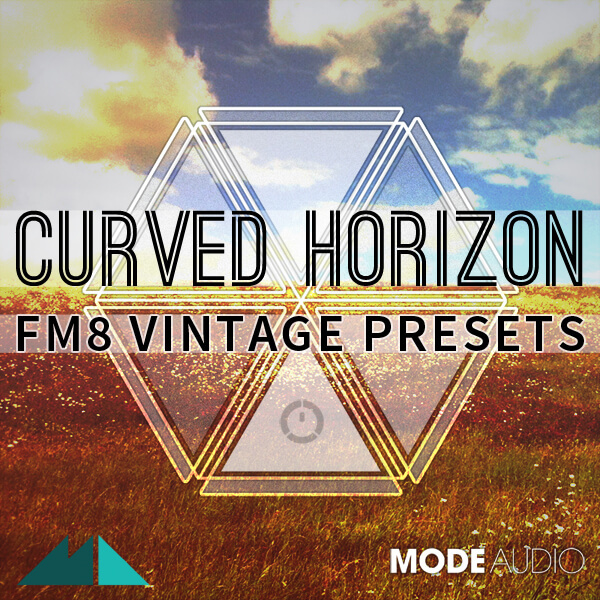 ‘Curved Horizon – FM8 Vintage Presets’ from ModeAudio brings you a whole range of sounds you may never have expected from an FM synth. Precision-tuned to shine with all the warmth, instability and intrigue of analogue circuitry, these 50 presets have uncovered a whole new dimension to FM8. Fluctuating oscillator tuning, shifting phases and background hiss and crackle are the order of the day here. Vintage character is laced through every brooding Bass, cinematic Pad, powerful Synth, volatile Chord, soaring Lead and shimmering Pluck included. The sounds range from powerful and menacing to floating and atmospheric, so you’re sure to find what you’re looking for. Along with the 50 presets are 50 MIDI loops, allowing you to audition the sounds effortlessly and spark the imagination. Whether you’re into ambient, chill-out and cinematic or bass, dark techno and beats, ‘Curved Horizon’ has got you covered.